Vegetables by Spongebob Squarepants | Gourmet B.C. Patrick was just telling me how much he hates vegetables. HATES THEM! Can you believe that? Right, Gary? Come on guys, I want to hear it! Tell me how great vegetables are! TELL ME! I bet even Squidward likes vegetables. Of course, we’ll just ask mini-Squidward, since Squidward told me today is opposite day. Mini-Squidward, aren’t vegetables delicious?! I could sing a song about how great vegetables are. They’re so good for you! I love my vegetables. I eat them three times a day. I even eat vegetables in my sleep! Some people say they don’t like vegetables, can you believe it? Vegetables are so dreamy. They’re colorful, delicious, and yummy. Sometimes, I even sleep with my vegetables. I know some awesome ways to prepare them. Ahhh, baking. I love baking. I LOOOOOVE BAKING! Sometimes, I’ll bake our krabby patties but don’t tell Mr. Krabs! Did you know that you can bake vegetables? Yes! It makes them softer. Good vegetables to bake include brussel sprouts, asparagus, green beans, and of course, krabby patties. Krabby patties are a vegetable, right? Actually, any vegetable is bake-able, haha! What’s so great about baking, you ask?! It makes the vegetables soft. Mmmm, so soft and tasty. Then, you can finish it off on the stovetop with a little oil and salt. Yummy! Stovetop frying is how we usually make our patties, but even I don’t have a stovetop at home. You can use a pan for this! I loooove pan-frying my vegetables because it reminds me of cooking patties! Just heat up the pan, put a little oil in the bottom, put your veggies in, and brown ‘em on all sides! Deeeee-licious! 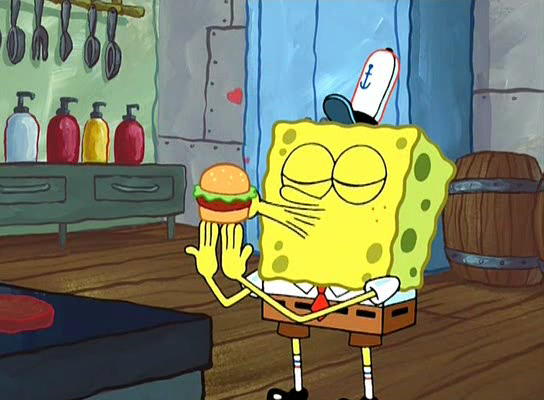 Krabby patties are the BEST! What better way to enjoy beautiful vegetables than to dip them in some sauce?! I love dipping my vegetables in some honey mustard or Krabby sauce. Did you know that Krabby sauce is the BEST sauce in the world? Yup. Well, you can just substitute for your favorite sauce, though I doubt it’ll be as good as mine, hehehe! There’s nothing better than some salt, yum yum! Mmm, mmm, mmm! Salt brings out flavor profiles that weren’t there before. It makes the vegetables taste WAYYYY different and YUMM-Y! A very, very yummy different, of course. You could add a little pepper to them, too, but salt is my favorite! Remember that time I smothered my krabby patty in jellyfish sauce? Man, did that take off. Well, you can take this same idea and use it with vegetables! Just smother them in butter, Italian dressing, maybe add some krabby patties on top.. Just sayin’! Well guys, I hope I’ve turned those frowns upside down in the name of vegetables! 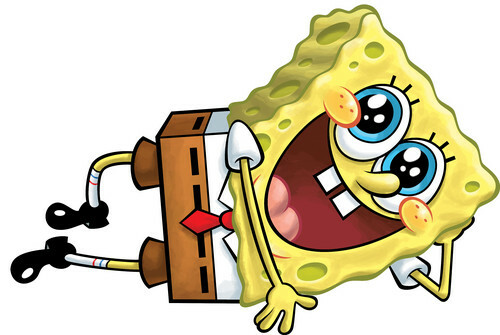 And, I hope you learned that krabby patties and vegetables are one in the same. Let me know your favorite way of eating your vegetables. Maybe we can even have a vegetable party! I’ll get Gary to plan it because he’s good at that kind of stuff. This entry was posted in Information and tagged baking, class, frying, imitation, paleo, parody, sauce, vegetables by Brittany W. Bookmark the permalink. I would like to propose the link exchange deal with your website gourmetbc.wordpress.com, for mutual benefit in getting more traffic and improve search engine’s ranking, absolutely no money involve. We will link to you from our Society, Legal, and News Authority Site – https://www.integratedlawfirm.com/, from its homepage’s sidebar. In return you will agree to do the same to link back to one of our of our Personal Injury website based in Dallas, Texas, from your gourmetbc.wordpress.com’s homepage too (sidebar, footer, or anywhere on your homepage), with our brand name Personal Injuries Legal.